Home/Frequently Asked Questions About Educational Leadership/What Are the Prerequisites for a Master’s Degree in Educational Leadership? A person who is exploring advanced degrees in the field of education may ask: What are the prerequisites for a Master’s Degree in educational leadership? It’s a good idea for anyone interested in a career in education to set out on the appropriate path to achieve their goal. Take a look at the prerequisites for getting this advanced degree and learn about some of the occupations available to a person with these qualifications. One prerequisite a person must have in order to start this program of study is a bachelor’s degree. It should be a bachelor’s degree with a focus on education. The person must also have a current, valid teaching license. It stands to reason that a lot of the people who decide to pursue a master’s degree in educational leadership already work as teachers or educators in a school district. Three years of teaching experience is also a prerequisite for starting a program of study to earn this advanced degree. All of these prerequisites contribute to the success of a person who wants to continue his or her education and move up in this field of work. Some individuals who earn a master’s in educational leadership have their sights set on becoming the principal of a school. A person with this level of education can pursue the position of principal in an elementary, middle or high school. 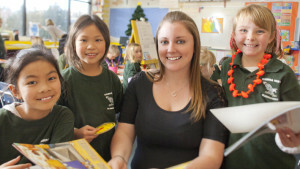 A principal has many responsibilities including hiring teachers and coordinating activities within the school. Also, a principal handles many disciplinary issues, coordinates special programs for students and is the general representative of the school. 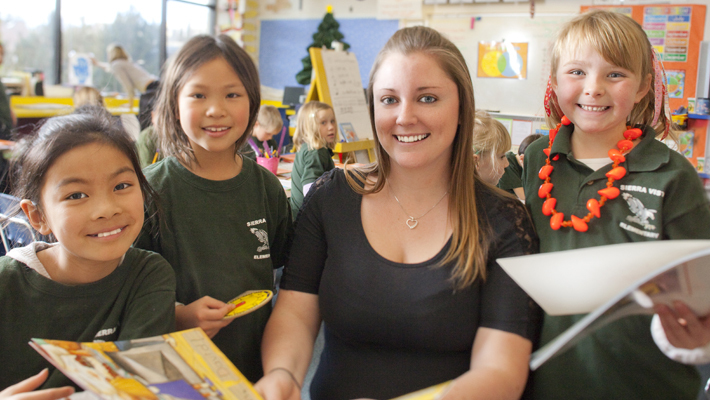 A master’s in educational leadership helps a principal to handle the activities and issues that occur within a large school with dozens of staff members. A master’s in educational leadership is also helpful to someone working as a dean of students. This individual coordinates student activities and helps to resolve issues students are having at school. A university is the most likely place to find a dean of students, but this professional is also present in some private high schools. Solid leadership skills and the ability to make wise decisions on behalf of a group are both valuable skills that a dean of students must possess in order to be successful in the job. The main job of an instructional coordinator is to communicate curriculum to the instructors in a school. This person is responsible for finding and implementing a curriculum that best serves the students in a particular school. This professional uses his or her leadership degree when speaking with teachers and getting them to fully support a new curriculum. It’s important that an instructional coordinator knows how to resolve conflicts and settle issues that come up among the teachers in a school. An instructional coordinator may work in a public school, private school or even for an online educational program. Finally, regardless of what career in the field of education a person chooses, he or she must prepare for it in a methodical way. Therefore, it’s important for these individuals to investigate the prerequisites for a master’s in educational leadership.